A good education is desirable for many reasons, and learning is something that is no longer the preserve of schoolchildren and young adults at higher educational institutions. People of all ages are learning, and whether an individual is studying for fun, to develop their understanding of the world, or to improve their career prospects, there is a lot to be said for finding the educational process that is right for their needs. The traditional method of classroom-style education is still popular, but many people prefer online education over the classroom learning experience. There are not many aspects of life that the internet hasn’t impacted on, and the learning environment has been transformed due to the emergence of the internet. There are many key benefits of accessing the internet, and the same factors that have made online shopping or working from home attractive to many people have helped to make online education extremely popular. The time benefits of online education over the classroom are considerate. Removing travel time is a huge factor in why online education is the best option for some people. People who lead busy lives, juggling work with childcare arrangements or other activities, may have time for studying, but the travel time can make studying difficult. This is why being able to study from the comfort of home, in the workplace, or anywhere there is an internet connection has to be seen as a boon for people looking to fit education into their life. There is also the fact that there is a convenience factor about studying online. People that live in major towns or cities may be able to find educational institutions offering relevant courses or classes close by, but this isn’t the case for people who live in more remote districts. There is also the fact that if the course is in a specialist area of education or aimed at a niche market, it may not even be available in some major areas. Online education opens up the opportunity to study a range of courses, regardless of location or what is on offer in the local area. Another factor that sees online education being a preferred option over classroom education is the cost. 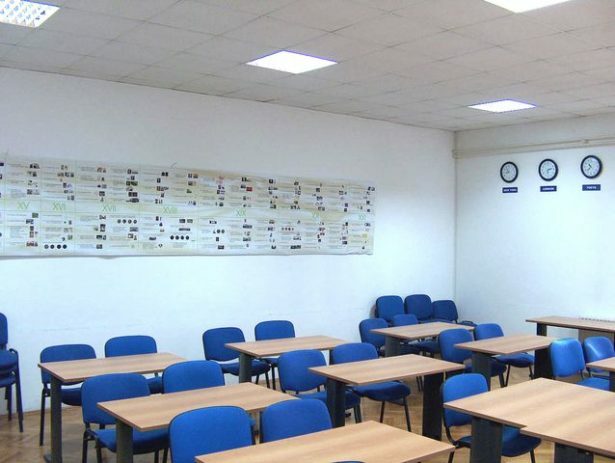 With classroom education, there are immediate overheads such as the room, the energy bills associated with the room, and employing someone to teach the class. These costs aren’t relevant with online education, or they aren’t as prevalent because the cost of providing the class is spread across a wider range of people. The number of people who can take a class in a classroom is often limited by the capacity of the room, whereas this isn’t the case with an online class. There may be some limitation to how many people can take an online class, particularly if there is a need for some form of human interaction or for papers to be individually marked, but there is more flexibility for volume of numbers, which means that the class will be open to more people. This has allowed reputable educational institutions to provide learning opportunities to a greater number of students, with bodies such as Maryville University providing a wide range of courses and classes. Online education is also attractive for many people depending on their circumstances or aims of studying. Elderly people may not wish to commit to being a full-time student, so this style of learning allows them to develop skills at their own pace. People who are studying for their career prospects may have to juggle their learning with their standard working hours, which may not be possible in the classroom learning environment. Add in the fact that some people don’t like the idea of learning in a class with other people, much preferring an environment that they are comfortable with, and you have strong arguments for online education. There is also the fact that different people learn in different ways, and for some students, the online education process is the one that fits their learning preferences in the best manner. Many businesses will be happy to see their employees undertake extra-curricular studies that don’t impact on their work availability. The flexibility that comes with online learning is a great benefit, not only to the student but also to the employers of the student. In fact, some firms are so positive about the online education process that they will provide financial assistance in arranging courses, or they will provide an employee with time to study. The internet has changed the way that people live their life, and made it easier for many people to find the right solution to their needs. This can be seen in why so many people prefer online education over classroom studying.